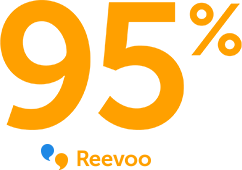 We understand how time consuming it can be to wash up by hand, especially when there’s lots of scrubbing to do. 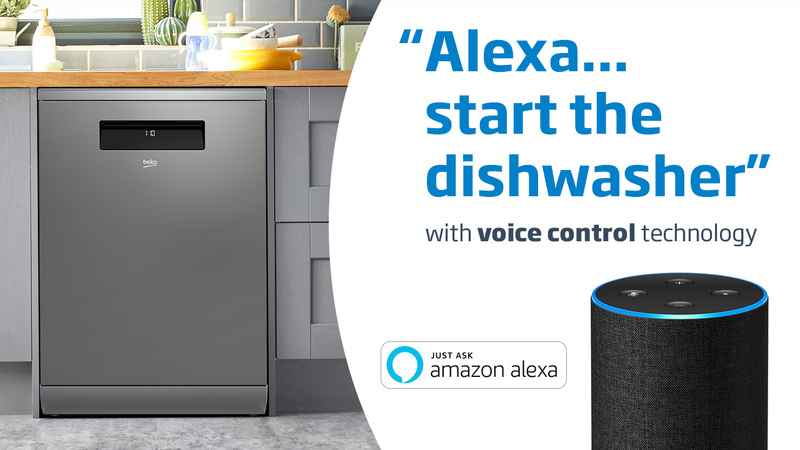 Packed with time saving programmes and the latest technologies, we’ve developed our range of dishwashers to take the hassle out of your everyday after-dinner clean-up. 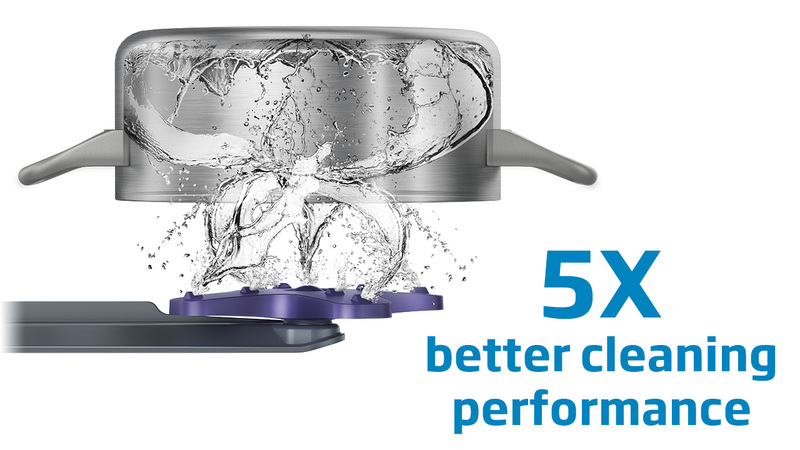 Giving you more time to spend on the things you love, all the dishwashers in our range come with the quick Mini 30’ programme that can wash a full load in just 30 minutes. 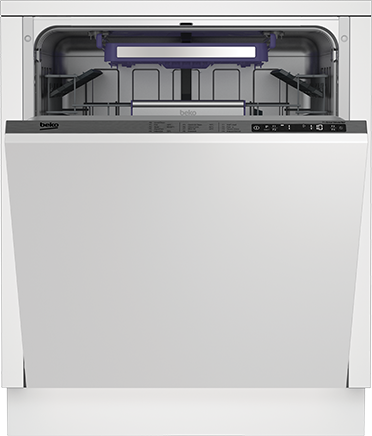 With a host of full size, slimline and integrated models available, we’re certain you’ll find the perfect Beko dishwasher to fit in with your kitchen’s space and design. 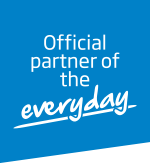 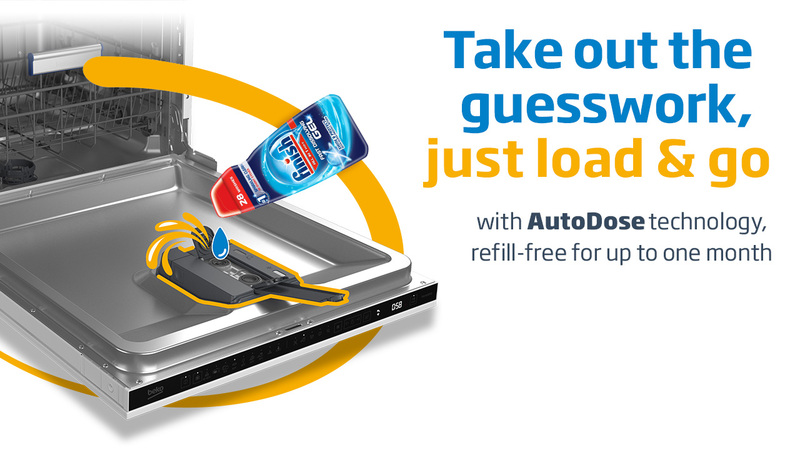 For effortless washing, AutoDose technology senses the dirtiness of your dishes to automatically dispense the perfect amount of detergent and rinse aid for your load. 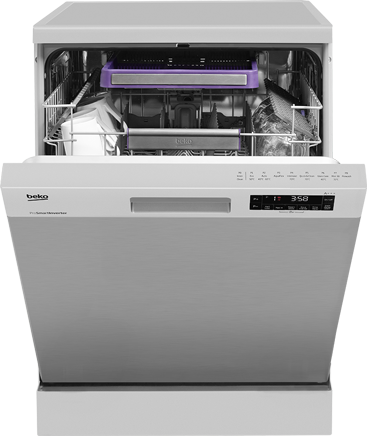 Let your dishwasher do the scrubbing for you with an intensive cleaning zone, where even your dirtiest pots and pans will be cleaned to perfection. 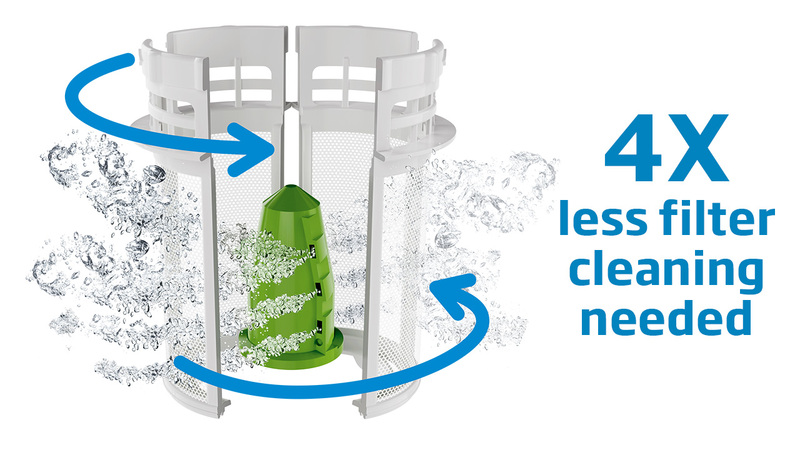 Saving you the hassle of having to clean the filter yourself, the built-in sprinkler system rinses your filter’s interior, keeping it cleaner 4x longer. 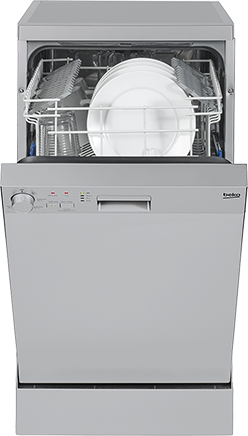 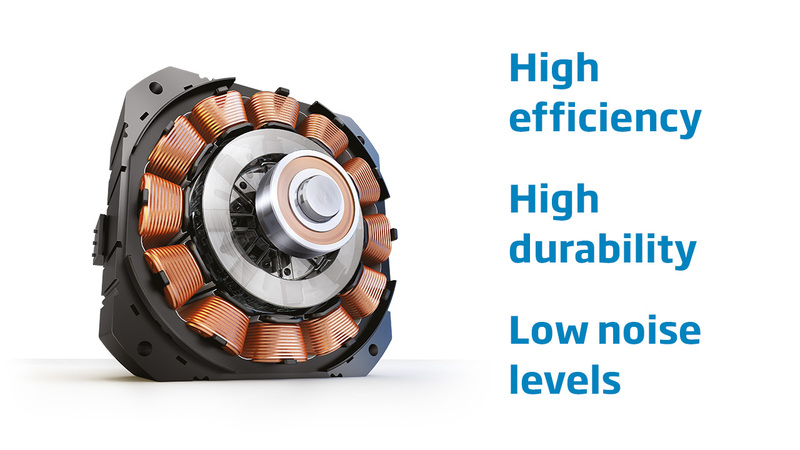 Get peace of mind knowing your dishwasher is powered by our quieter, durable and more efficient motor which comes with a 10-year guarantee. 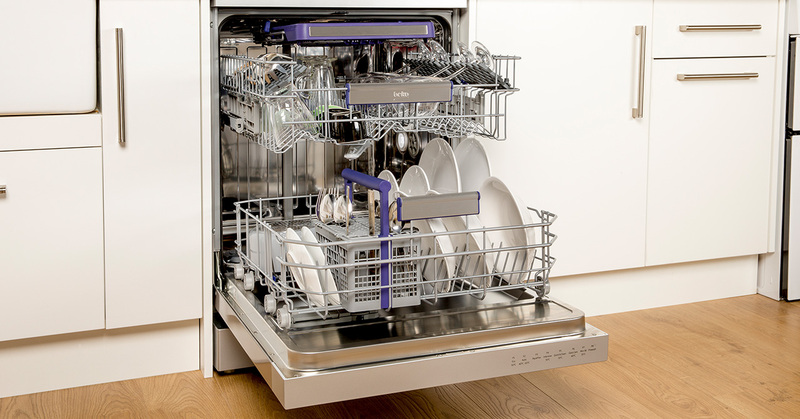 Whether you need help deciding which dishwasher capacity would best suit your everyday needs, or you need more information on the latest technologies, our dishwasher buying guide will help you select the perfect full size, slimline, or integrated dishwasher for your kitchen.